As told last week my youngest daughter is about to turn 8, so the upcoming weeks I'm busy with making a lot of birthday related stuff. 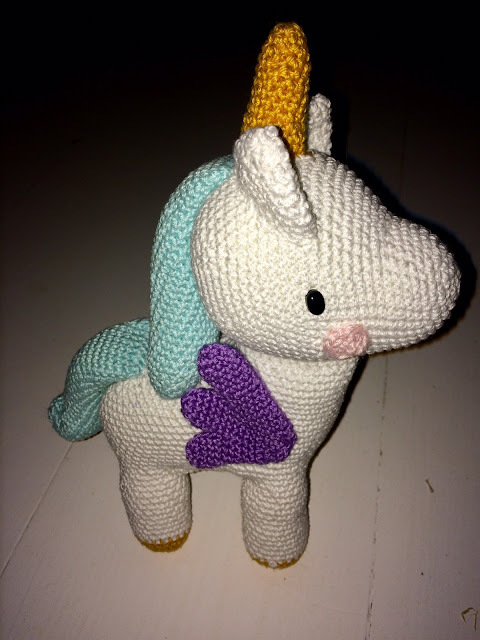 She chose the not so original unicorn theme, but original or not I love to make all things unicorn. 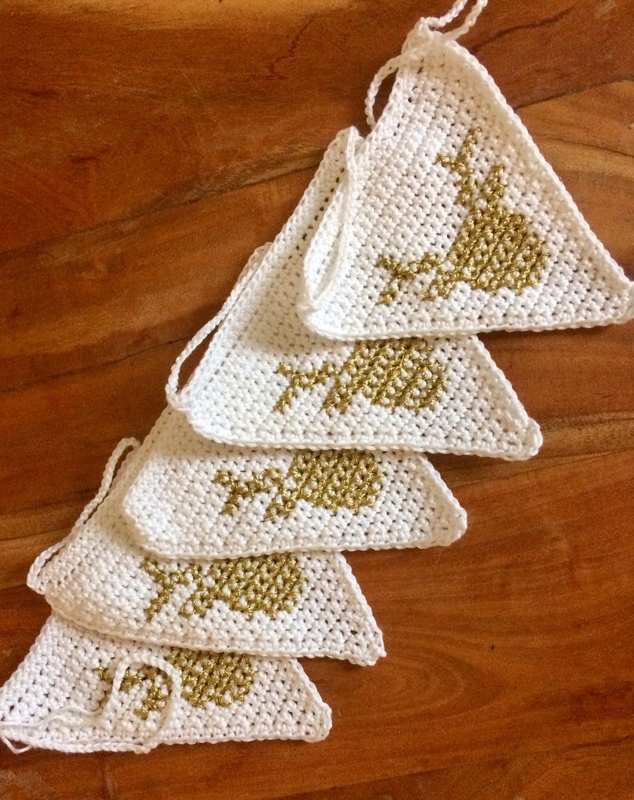 There's always at least one birthday present that I like to make myself and fortunately there's a lovely unicorn pattern in the Pica Pau book by Yan Schenkel that I ordered a couple of weeks ago. So cute, don't you think?! The Reindeer Garland that I crocheted for Christmas was featured by Pattern Paradise! Oh that’s just adorable - I love her wings!! Adorable! The world needs more unicorns. I'm sure your daughter will love her new toy. He is absolutely darling! Thanks for sharing with SYC. So lovely! My daughter would love one too. Happy Birthday to your daughter! 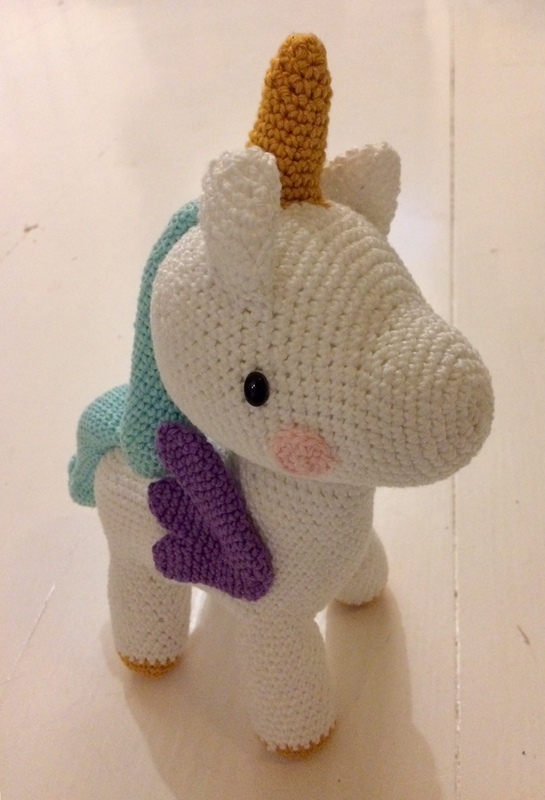 This unicorn is so cute, it makes me wish I could crochet! PS happy new year Liz. 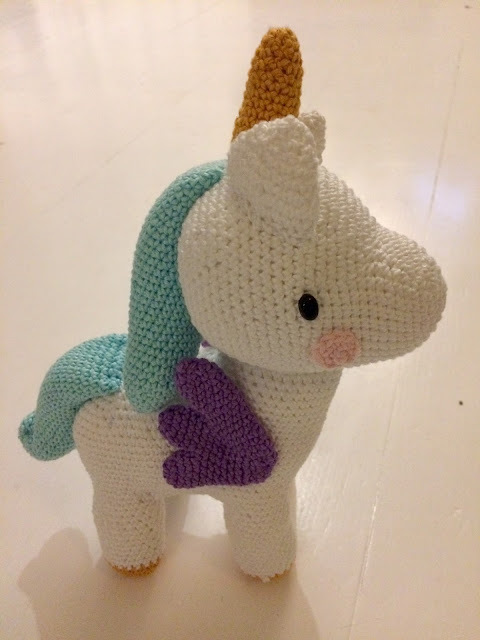 The cutest thing in all of cute land!